In the market for a mortgage loan? We'll be glad to talk about our mortgage offerings! Call us at (951)840-4188. Ready to begin? Apply Online Now. A rate "lock" or "commitment" is a promise from the lender to hold a specific interest rate and a specific number of points for you for a specified period of time during your application process. 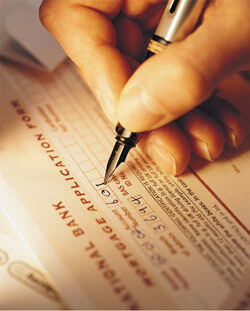 This ensures that your interest rate will not get higher while you are going through the application process. Rate lock periods can vary in length, between fifteen to sixty days, with the longer ones generally costing more. A lender will agree to freeze an interest rate and points for a longer span of time, like sixty days, but in exchange, the rate (and sometimes points) will be higher than with a rate lock of a shorter period. In addition to choosing the shorter lock period, there are more ways you may be able to get the best rate. A larger down payment will get you a better interest rate, since you'll have more equity from the beginning. You might opt to pay points to reduce your rate for the term of the loan, meaning you pay more initially. One strategy that is a good option for some is to pay points to improve the interest rate over the term of the loan. You will pay more initially, but you will save money in the long run. Budica Financial Corporation can answer questions about rate lock periods & many others. Call us at (951)840-4188.